The U.S. House of Representatives has voted to end the National Security Agency’s bulk collection of telephone metadata, a practice secretly authorized by the US Foreign Intelligence Surveillance Court (FISC) under Section 215 of the Patriot Act. Known to exist since May 2006, the program has allowed the NSA to collect and store phone numbers of call originators and recipients, along with times and lengths of calls, for all calls made to, from or within the United States. The purported goal of the program has been to monitor individuals capable of terrorism, but the result has been an NSA-controlled, ever-expanding database of all known phone conversations, the majority of which have no bearing on national security. Wednesday’s USA Freedom Act, passed in a vote of 338 to 88, requires phone metadata to remain in the hands of telecommunications companies, prohibiting government access without a court order identifying suspicion of terrorism. Debate is exactly where Congress finds itself right now. The USA Freedom Act has passed the House of Representatives and has the support of the White House, but still must make it through the Senate. Senate Republicans Mitch McConnell and John McCain are in favor of extending Section 215 of the Patriot Act as is until 2020, but as Techdirt pointed out, the Second Circuit court’s decision implies that Section 215 will no longer be used to justify the bulk collection of metadata that these senators were looking for. Also in light of the Second Circuit court’s decision, the Electronic Frontier Foundation has altered its stance and is pressuring Congress to adopt an even stronger (2013) version of the USA Freedom Act. Congress should not squander its opportunity to profoundly alter the legal landscape of government surveillance. 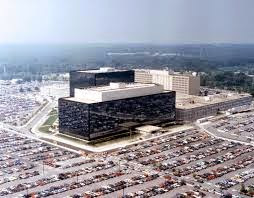 If you’d like to share your thoughts on phone surveillance with Washington, check out www.fight215.org.